Hyannis, MA (June 28, 2018) – A pedestrian had to be rushed to the hospital after being struck by a vehicle in Hyannis, Masachusetts on Thursday. The pedestrian was struck at the intersection of South Street and High School Road at around 4:00 pm. Barnstable police received a call about the accident and responded to the scene. Officers quickly realized that the accident involved serious injuries and summoned a rescue squad to the crash site. The pedestrian, who has not been identified, was rushed to nearby Cape Cod Hospital with head and chest trauma. Barnstable Police are investigating the crash. There is no word on the current condition of the pedestrian. The pedestrian has not been identified by police. Police have not released any further information on the crash or whether they intend to charge the driver for their role in the collision. We hope that the pedestrian in this accident has a quick and full recovery. 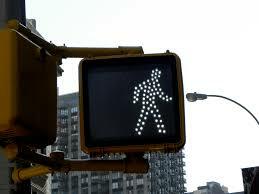 Pedestrian accidents are some of the most serious and sometimes deadly accidents that we encounter.